A living trust is an arrangement under which an individual—known as a trustee—holds legal title to the property of another person, known as a beneficiary. An individual can assume the role as the trustee of their own living trust, which effectively keeps full control over all property held in trust. The living trust is created when the individual is alive, rather than post mortem. Living trusts are cost-saving devices; in most states, a living trust will allow the individual to avoid expenses and delays associated with probate hearings—probate hearings can take up to 3 years and cost an individual up to 10% of their estate. If the individual holds property in another state, a living trust will effectively eliminate the need to probate the property in that particular state. A living trust will immediately transfer the management of the individual’s property if they become either mentally or physically incapacitated. 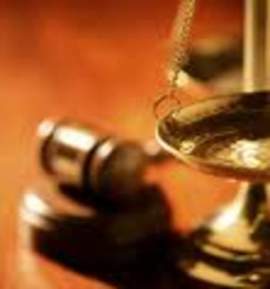 Under a living trust, there is no need to proceed with a hearing to appoint a conservator or a guardian. Living trusts will protect the individual’s privacy; the trust remains confidential and will not become a matter of public record. Because of these advantages, the inclusion of a lawyer to help distribute the individual’s estate is not necessary. 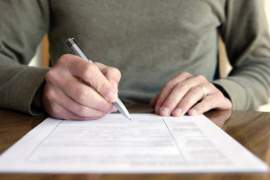 Establishing a living trust is a fairly tedious process; to enact the trust an individual will have to satisfy a large amount of initial paper work. Moreover, the primary disadvantage when evaluating a living trust v. a will is that living trust is far more expensive to enact. Another significant disadvantage in a living trust v. will is that a trust will require the individual to transfer ownership of all their property that they wish to place in a trust. This process will include revising the individual’s title documents. Such an endeavor can lead to several complications; the individual may run into difficulties if they want to refinance property that is in their living trust. Lastly, a disadvantage in a living trust v. will is that the individual cannot designate a guardian for minor children—this can easily be enacted in a will. When inspecting a living trust v. will, the primary advantage of a will is that the legal declaration is much simpler and cheaper to enact. Furthermore, in a will, creditors will face a final cut-off date for bringing claims against the holder’s state—in a living trust, a creditor does not have a final cut-off date for bringing claims against the holder’s trust. In a will, the holder may name guardians for their minor children. A will also does not make it necessary to transfer any properties to other entities to validate the legal document. 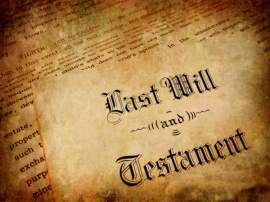 When comparing a living trust v. will one must acknowledge the disadvantages present in a will. 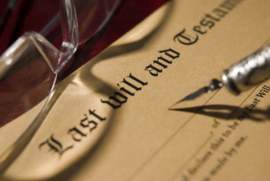 For instance, upon a probate proceeding, a will becomes a matter of public record. 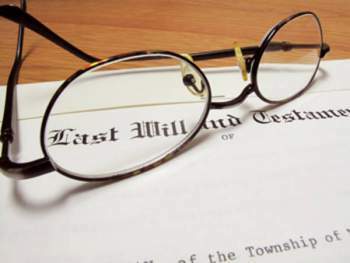 While the holder may appoint whomever they wish to act as the executor of their will, it is typically the probate lawyers who will control the tangible distribution of their property. The inclusion of a lawyer in the distribution process is often expensive and frustrating. Probate proceedings are necessary to implement a will; these hearings can be both painstakingly slow and costly. Moreover, a will does not provide for the transfer of management regarding the holder’s assets or property if they become mentally or physically incapacitated.